When I became a work at home mom, I thought I'd be living the dream. Spending tons of time with my kids, watching all the Netflix I want, having all day to clean, and making money while I do it all? Sign me up! Right? Wrong. See what I learned is, I had a lot of work at home mom bad habits, and they've been pretty tough to break! There are certain things that I do each day that keep me from being productive. Some of my work at home mom bad habits have kept me from being the best wife, mother, and worker I can be. I'm guessing you might have some of these bad habits as well. When you're a work at home mom, it is vital that you get dressed every day. Now, no one is suggesting that you put on your full suit and tie before you open your laptop, but changing out of your jammies is necessary. When you get up and get ready every day, you're telling your brain that it is time to get to work! If you feel like getting dressed up every day, with full hair and makeup, go for it. If not, even putting on yoga pants and a nice t-shirt will be a nice change from your pajamas! Plus, you want to be able to answer the door without scaring the post man! One of my worst work at home mom bad habits is not fully respecting my work time. (Want proof? 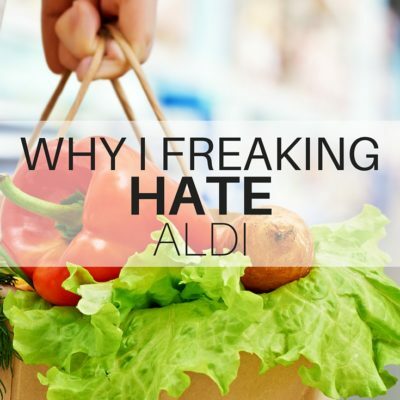 I've been working on this article off and on all. day. long. I sit down to get to work, and then I'll just check Facebook “real quick” or I remember that I haven't pinned my blog post for the day yet and get lost pinning fun stuff. Then one of the kids needs water and another needs a diaper change. Before I know it I've been working all day, but I haven't achieved anything. It's so important to work when you're working so that you can focus. 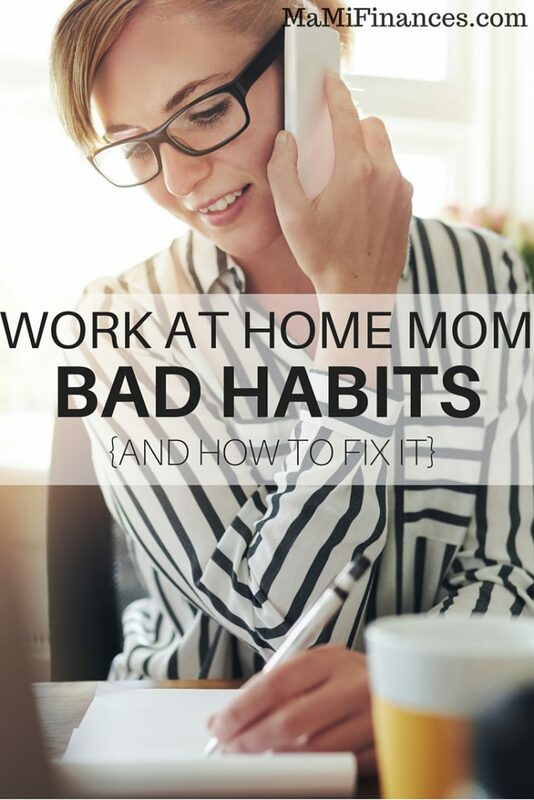 This work at home mom bad habit is just as bad as the last one. When you are spending time with your family, give them your 100%. Don't check your cell phone. Don't play around on Facebook. Don't be brainstorming your next blog post or texting a client. Focus completely on your kids or your husband when you can, and they're most likely to understand you being 100% focused on your work when it's work time. Being a work at home mom is no walk in the park, and these work at home mom bad habits can derail you quick. It's important to recognize when you're falling into these bad habits and make a deliberate effort to do things differently in order to achieve the true benefits of being a work at home mom. You can bring in a healthy income while staying home with your kids and being a great wife to your husband!